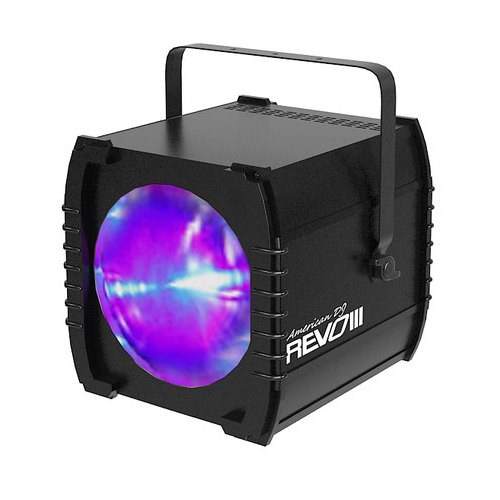 The American DJ REVO 4 is an LED DMX-512 moonflower effect light from American DJ's popular REVO Series that has 256 razor sharp red, green, blue, and white beams. 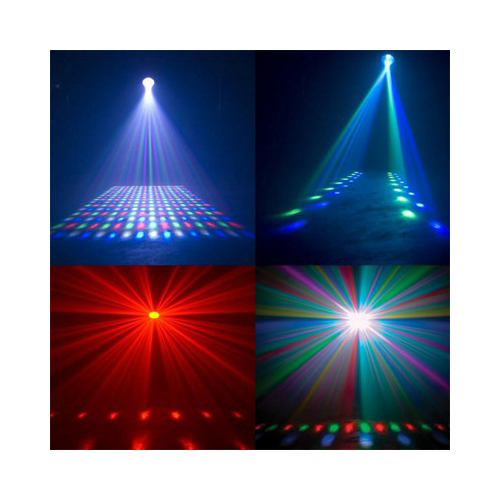 It produces unique and exciting LED patterns that may be projected onto a wall, ceiling, or dance floor, plus it looks great with or without fog. 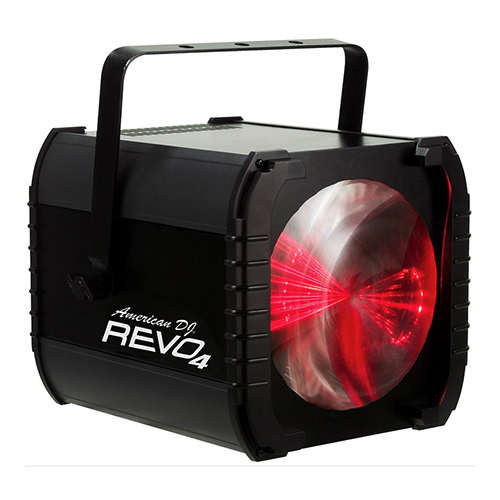 The American DJ REVO 4 is an LED DMX-512 moonflower effect light from American DJ’s popular REVO Series that has 256 razor sharp red, green, blue, and white beams. It produces unique and exciting LED patterns that may be projected onto a wall, ceiling, or dance floor, plus it looks great with or without fog. 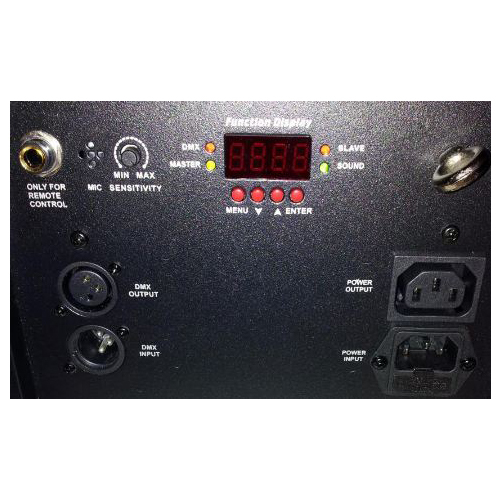 The DMX LED light has two DMX channels (4-channel or 256-channel) and three operational modes including: DMX, sound active, and master/slave. 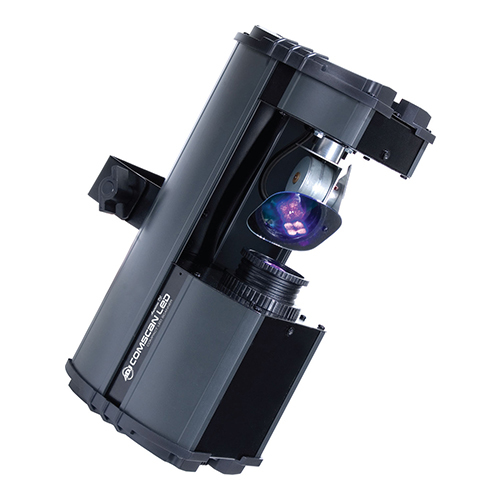 Sound active mode operates from built-in programs, plus the REVO 4 moonflower also includes a strobe function and a 4-button LED DMX display. 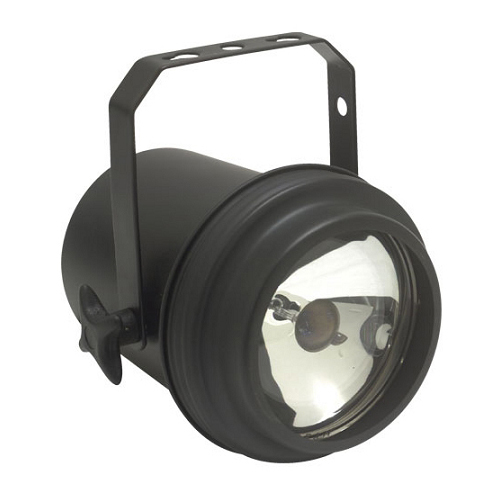 Serving the wishes of clubs and users alike, the REVO 4 is one lighting effect that runs all night, runs extremely cool, and has no duty cycle. It’s linkable with XLR connections, and includes a hanging bracket. The American DJ Revo 4’s long-life LEDs have a 100,000-hour rating.